India is facing one of its most serious droughts in recent memory - official estimates suggest that at least 330m people are likely to be affected by acute shortages of water. 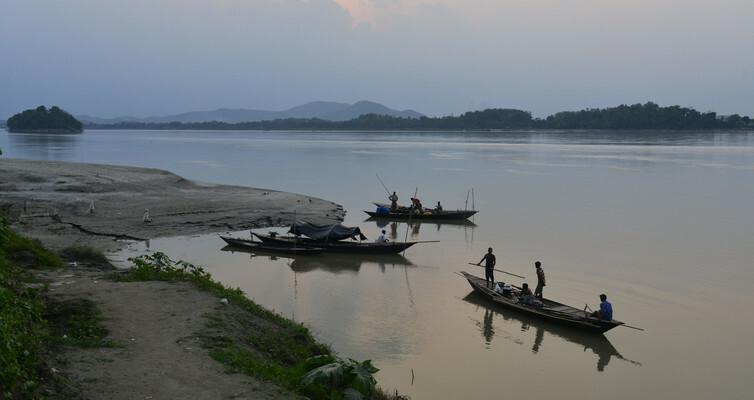 As the subcontinent awaits the imminent arrival of the monsoon rains, bringing relief to those who have suffered the long, dry and exceptionally warm summer, the crisis affecting India's water resources is high on the public agenda. Unprecedented drought demands unconventional responses, and there have been some fairly unusual attempts to address this year's shortage. Perhaps most dramatic was the deployment of railway wagons to transport 500,000 litres of water per day across the Deccan plateau, with the train traversing more than 300km to provide relief to the district of Latur in Maharashtra state. The need to shift water on this scale sheds light on the key issue that makes water planning in the Indian subcontinent so challenging. While the region gets considerable precipitation most years from the annual monsoon, the rain tends to fall in particular places - and for only a short period of time (about three months). This water needs to be stored, and made to last for the entire year. In most years, it also means that there is often too much water in some places, resulting in as much distress due to flooding as there currently is due to drought. So there is a spatial challenge as well - water from the surplus regions needs to reach those with a shortfall, and the water train deployed in Maharashtra is one attempt to achieve this. Going from science fiction to reality is the dream of many an engineer or inventor who has envisioned a flying-car commute or teleportation to the beach. It’s not usually the domain of practical defense policy wonks. But that’s what makes the Defense Department’s third offset strategy different. The so-named quest for conventional military deterrence against China and Russia through the Pentagon’s use of game-changing technology now has a bureaucratic brand inside the Beltway. The third offset also has a budget, some $18 billion, to spend on fulfilling a vision of a future in which electromagnetic railguns shoot down hundreds of incoming cruise missiles, lasers slice through enemy warships, and robotic wingmen fly in first on the deadliest missions. This beguilingly simple premise, however, lacks a broadly understood plan to execute this vision. Absent crystal-clear orders from on high and with plenty of the usual reasons for inaction, over-cautiousness is likely to prevail. Yet for the bolder members of America’s private sector, this is a moment of great opportunity to shape the next generation of military innovation. It is time for a new model for government-industry collaboration, risk assessment, and strategic vision that can enable the kinds of ambitious military capabilities the United States must aspire to lead in the 21st Century. As the third offset transitions from policy to execution, its supporters now face the challenge of taking the conversation from the Pentagon’s E-ring to corporate boardrooms and innovation centers across America before the clock winds down on the Obama administration. For the next administration to carry on with the third offset, an important legacy will be the private sector’s understanding of the importance of prototyping, open innovation, and next generation manufacturing methods. This reinvigorated defense industrial base now is in the position to reimagine and reinvent their existing technologies and platforms in new and novel ways, a key third offset objective. According to a U.S. State Department report published earlier this week, there were 11,774 terrorist attacks worldwide in 2015, with 28,328 fatalities. Iraq experienced the most attacks last year, amid its struggle against the so-called Islamic State. There were 2,418 incidents in Iraq with nearly 7,000 fatalities. The report found that Iran remains the primary state sponsor of terrorism, providing a range of support, including financial, training, and equipment, to groups around the world. This chart shows terrorist attacks and total deaths worldwide in 2015. Mahmuda Khanam left her apartment in Chittagong, Bangladesh, on June 5 to walk her 6-year-old son to a school bus stop. On the way, they were approached by three men who stabbed her repeatedly, then shot her point-blank in the head, leaving her dead on the pavement with the shocked child. The assailants sped away on a motorcycle. This was not an act of random violence. It was an attack carefully targeted to punish Mahmuda Khanam's husband, Babul Akter, a senior Bangladeshi police official. As leader of the Detective Bureau in Chittagong, Akter had been instrumental in several investigations involving militants over the past two years, including one that led to the arrest of the military chief of the Jamaat-ul-Mujahideen Bangladesh in October 2015. In fact, Akter had been so effective in combating militancy in the Chittagong area that he had been promoted to a senior police post in Dhaka, Bangladesh's capital. According to news reports, he had moved to Dhaka to assume his new duties just days before his wife's murder, leaving her and their two children behind. The method of attack in this case was similar to those that have been used by jihadists in Bangladesh against bloggers, university professors, foreigners and religious minorities. When the method of attack is combined with Akter's past investigations of jihadist militants, it is not hard to conclude that this was intended as revenge. But instead of targeting the armed and trained Akter personally, the attackers chose a much softer target. Bangladesh is currently an arena of competition between al Qaeda- and Islamic State-oriented jihadists. As such, it can be seen as a microcosm of the larger ideological struggle for the heart of the global jihadist movement. Over the past year, in a kind of macabre competition, militants associated with both groups have attacked targets they regard as posing a challenge to their brand of Islam. The Censor Board’s decision last week to snip away all drug-related references to Punjab in the film Udta Punjab highlights the seriousness of the drug problem in that state. Senior leaders of the state’s ruling party can engage in whataboutery and call the drug menace a national problem, but data show that over the last decade Punjab has ranked consistently at the top or in the top 5 in many of the yardsticks used to measure drug abuse. That Punjab’s drug menace is a serious problem is evident from the fact it is perhaps the only state in recent times to commission a drug abuse study. 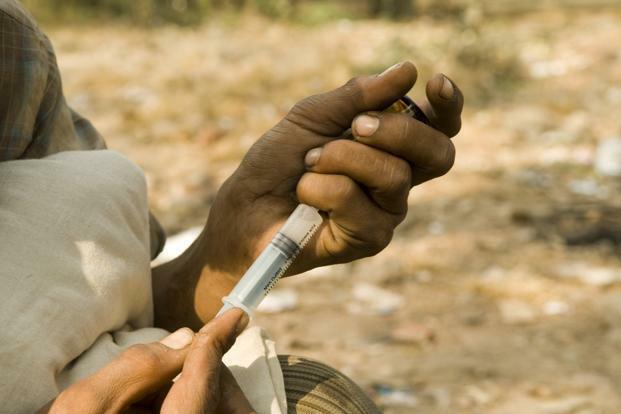 The Punjab Opioid Dependence Survey, which was conducted between February and April 2015, found that 230,000 people in the state were drug users. That translates to 836 drug users per 100,000 people in the state. The All India number is 250 per 100,000 (for 2012), according to the ministry of social justice and empowerment. Consider the number of crimes reported under the Narcotics Drugs and Psychotropic Substances (NDPS) Act. There were on average 7,524 instances of crimes related to drugs in Punjab annually between 2005 and 2014. That’s second only to Uttar Pradesh, India’s most populous state. Look at the rate of crime per 100,000 population — Punjab fares far worse than any other state. In 2014 alone, the rate of reported NDPS crimes jumped to 50.5 per 100,000 population — four times that of second ranked Maharashtra with a rate of 12.4. Punjab ranks among the top five states that reported the biggest drug seizures in 2014. The other four were Mizoram, Manipur, Assam and Uttar Pradesh. Here’s another statistic that places Punjab on top: about 44.5% of total convicts under the NDPS Act in India at the end of 2014 were in Punjab, and the figure has consistently increased over the years. While this could mean that the state is fighting hard to combat this problem, it also highlights the extent of the drug abuse menace in that state. Suicides due to drug abuse or addiction made up 2.8% of all suicides in India in 2014. In the case of Punjab, this stood at 4%. Drug-related suicide deaths in Punjab have decreased between 2011 and 2014, but it still figures among the top five states. The Punjab Opioid Dependence Survey found that 89% of opioid dependents in Punjab were literate and educated, 83% were employed and they were mostly male. Chart 6 has the details of the survey. The biggest hurdle in the follow-up on Prime Minister Narendra Modi’s visit to Iran will be the Indian bureaucracy. The security establishment, which has profound difficulty in understanding Iran and sees it as the land of Islamic fundamentalists, never wanted India to get entangled with that country. As for the foreign-policy establishment, it is guided by the Israeli cat whiskers, and is certain that the Iran nuclear deal has no future, and, therefore, what is the point in hurrying. To be sure, Nitin Gadkari has a job on his hands to get the bureaucracy cracking with the implementation of the projects in the pipeline with Iran. Our bureaucrats can learn a few things from the way Americans do business with Iran. Here is a country that Iranians used to call Great Satan. Here is a country that we foolishly imagine to be the playpen of the Israeli Lobby. Here is a country that we think is disinterested in seriously engaging with Iran. And, yet, in April, as soon as it became known that Airbus had secured a $27 billion deal for supplying 118 passenger aircraft to Iran, Washington lost no time to take a historic decision – to give a ‘waiver’ enabling Boeing to send a team down to Tehran (despite the US sanctions against Iran) to figure out the business prospects. The Iranians of course were happy to receive the team and both sides kept the pretence that this was an opportunity to get to know each other. Now, two months down the line, Reuters has figured out that Boeing has already begun working on a deal to supply around 100 aircraft to Iran – almost on the same scale as Airbus. The stunning part is that Boeing cannot do business with Iran within the ambit of the existing US sanctions. Despite the argumentative chaos of Indian democratic life, where his proponents and opponents continue to slug it out, Narendra Modi is widely seen abroad as a leader who signifies energy and hope for an aspirational India. His coming to office unleashed a surge of expectations, and that tide has not receded. The sustained American outreach and his embrace of the prospect of and increasingly tangible reality of interlocking interests between the world’s two most important democracies is very much a part of the Modi-era zeitgeist. This week Mr. Modi went to Washington again, his visit a powerful and evocative celebration of what is now termed an enduring global partnership between two key democracies, both countries of the Asia-Pacific world. This relationship is an ever-evolving one, increasingly multifaceted. Foreign Secretary S. Jaishankar termed this visit, the second bilateral visit made by Mr. Modi to the United States in two years, as a “consolidation”. The joint statement issued during the visit, on June 7, spoke of the two countries pledging to “provide global leadership on issues of shared interest”. The opening of the doors of the Capitol, as Mr. Modi termed it, during his address to the two Houses of Congress, of this “temple of democracy” as he said, drawing reference also to Abraham Lincoln, signified in many ways the coming round of the circle of redemption for a political personality who, till his coming to office as Prime Minister of India, had been denied a visa to enter the U.S. Pushing the right buttons, knowing how to win American friends, speaking an idiom understood by Americans, he demonstrated perfect pitch in his homage to the memory of American servicemen buried in Arlington Cemetery. In the past, falling oil prices were seen as a net benefit for the global economy, and stock values therefore rose when prices fell. Cheap oil is a form of consumer stimulus; the rule of thumb has been that a fall in price of $10 a barrel boosts global GDP growth by about 0.2 percentage points.1 Importers benefit a little more than exporters suffer. So what’s common between Chicken Country Captain, Railway Mutton Curry, Dal Tadka and the Ledikeni? Aside from the fact that each one of them belongs to a modern community (Anglo Indian mostly) and has been the creation of a chef with very limited resources (like seriously limited), it is their common ground of birth: The Dak Bungalow. Interestingly much to the toast Dak Bungalow food is made out to be these days (courtesy food writers and chefs rediscovering them today), its beginning (and the subsequent existence) wasn’t all that grand. In fact, many of the earlier Dak Bungalows that were set up by the British back in 1840 to accommodate their kins and brethrens during long road travel was much far from success. Fascinatingly, the very reason for Dak Bungalows was for comfortable stay and palate friendly food – more of the latter – especially when the British found traveling by water to distant places an ordeal. It all began with Lord Auckland in 1837. Eager to take first-hand account of the newly acquired colony, Auckland decided to travel from Calcutta to Simla in a budgerow with a retinue on par with that of Emperor Akbar’s wedding party. The little battalion is said to have made of 850 camels, 250 horses, 140 elephants, 12,000 men – almost four times the Army used by Shivaji to regain half his empire. The traveling party also included a few friends, their wives and associates and a French chef by the name of St. Cloup. The budgerow he travelled in had cabins with Venetian windows making it comfortable as it gave right amount of sunlight (sometime too much of it) and fresh air. But when it came to food, everything came spiraling down. Or as one of the members of the large travel party described – the food that came out of the cook boat, whose duties was to collect fresh produce and cook as per our taste, was rather filthy and confusing. A “dak bungalow” in Kenya, c. 1900. The term was sometimes applied to similar structures throughout the British Empire. Now that they are well on the road to ‘robotization’, military organizations will have to pay closer attention to the above issues. Kalyan Kemburi believes that specifically means combating organizational inertia, changing procurement practices, defining the nature of ‘manned-unmanned teaming’, accounting for the reemergence of mass in conflicts and much more. This commentary was originally published by the S. Rajaratnam School of International Studies (RSIS) on 2 June 2016. First, organisational inertia: Currently men and women across the military rank and file operate high-end unmanned systems such as UAVs. Most of the missions undertaken by these systems are mundane and repetitive in nature predominantly focused on surveillance and reconnaissance. To use highly trained soldiers for these kinds of tasks could increasingly prove to be both operationally and financially unsustainable; therefore, one of the more judicious use of resources might be to recruit and train specialists who specialise in operating these systems. Second, procurement procedures: The prevailing development and acquisition producers for legacy platforms involve billions of dollars in investments spread over two to three decades. 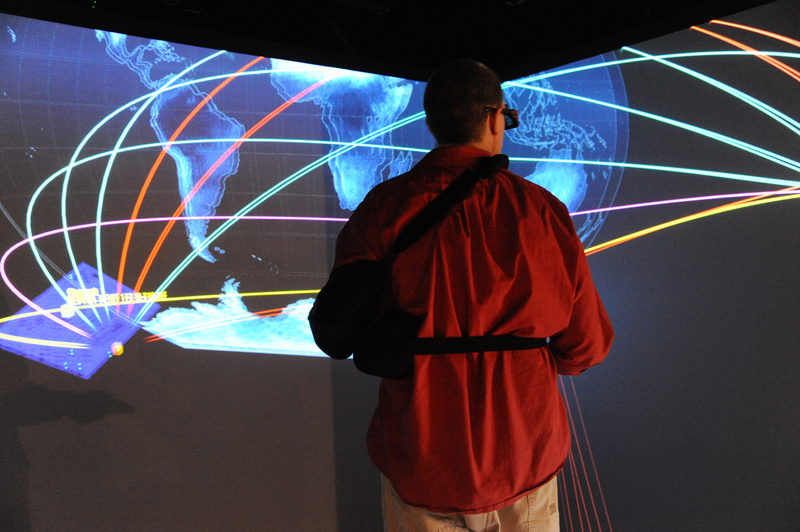 Rapid technological changes along with the dynamic nature of the geostrategic landscape make many of these systems obsolete and/ or irrelevant to the emerging mission requirements. Automated assembly lines with 3-D printing have the potential to fundamentally change the prevailing R&D and acquisition procedures. With rapid prototyping of new systems along with rapid scaling of production, not only the production cycles for legacy systems substantially reduced, but also the production of unmanned systems potentially decentralized. Third, democratisation of technology: The dual use nature of the robotic systems and their commercial availability allows relative ease in their acquisition by non-states actors and technologically less advanced states. Many of the civilian and military autonomous systems share the same basic sub-systems and sensors. For example, iRobot’s’ Packbot military robot has its roots in its civilian counterpart. Therefore, the threshold to weaponise an unmanned/ robotic system is very low compared to other dual use technologies such as nuclear or biotechnology. Geopolitical Futures logo Please feel free to forward this email to friends and colleagues! Reality Check A daily explanation of what matters and what doesn't in the world of geopolitics. June 10, 2016 By Kamran Bokhari Central Asia: The Next Region to Unravel The instability in Kazakhstan in recent weeks could spread throughout the region. While the world is focused on the crises in the Middle East, the European Union, Russia and China, Central Asia – located at the center of these regions – is in meltdown. Central Asia cannot avoid being affected by the chaos in the countries surrounding it and is at risk of destabilization. The largest and wealthiest state in the region, Kazakhstan, is most at risk. In recent weeks, Kazakhstan has been hit by two types of security challenges: civil unrest and terrorism. In May, Kazakh law enforcement agencies broke up demonstrations across the country, protesting plans to privatize large swathes of farmland. The government of President Nursultan Nazarbayev and its ally, Russia, believe these protests were backed by the U.S. and designed to foment a color revolution. Considering the large area covered by the protests and the fact that this is an authoritarian state that does not tolerate any genuine opposition, the idea that the West was trying to push Kazakhstan into a Ukraine-like revolution is not unreasonable. While Astana was still grappling with this issue, the country was rocked by a terrorist attack that killed 19 people on June 5. It was carried out by suspected Islamist militants in the northwestern industrial city of Aktobe. The attack, which involved 20 gunmen who struck at three separate locations, appears to have been a fairly sophisticated operation – at least for Kazakhstan, where such incidents are quite rare. Two cells struck at two separate firearms stores, while a third commandeered a bus and used it to ram the gate at a national guard base. Nazarbayev, who is 76 years old and has ruled the oil-rich country for a quarter of a century, issued a statement warning that foreign forces were out to destabilize the country. Whether foreign actors played a role in either of the two incidents remains unclear. But it appears that both pro-democracy and jihadist forces are challenging the regime. For Geopolitical Futures, this is not surprising. Our forecast for the current year predicted that Central Asia is headed toward a crisis. Join Thousands of Satisfied Readers – Subscribe Today! Our position has been that the Central Asian states will destabilize because the world around them has descended into turmoil. The Middle East is in chaos because of the meltdown of autocratic regimes, which has enabled the Islamic State to emerge as a major international security threat. The European Union has become an incoherent entity and faces an uncertain future as Germany deals with a looming export crisis. To the east, China’s growth miracle has come to an end. Finally, Russia, which wields the most influence in Central Asia, is in deep trouble because of the plunge in oil prices. Therefore, it is impossible for Central Asia to remain an island of stability in the middle of an ocean of chaos. Though we are at the beginning of the unraveling, the events in Kazakhstan show that our forecast is on track. For over two decades, the country’s leadership has maintained stability largely because of revenues from crude oil exports. It was a country built on oil wealth, with Western and Chinese investor interest and a strong alliance with Russia. With the steep decline in oil prices, the Nazarbayev regime is struggling to maintain order. Nazarbayev and his top associates have been trying to deal with rampant corruption in the armed forces. The impending leadership transition (due to Nazarbayev’s age) and the weakening of the authoritarian system are creating space for a host of actors who until now were kept at bay. It will be a while before the instability metastasizes in Kazakhstan, and at this early stage it is difficult to know how events will unfold. However, there are few arrestors in the path of this trajectory. Those forces seeking democratic change seem weak, while those with an Islamist agenda in this Muslim-majority nation seem more powerful – in no small part due to their use of armed insurrection. Therefore, the country may turn into a large ungoverned space while the world continues to hope democrats will replace the Soviet-era regime. This is similar to the Arab Spring, which the West hoped would bring democracy to the Arab world; this hope soon faded. The Arab Spring started in a relatively small North African country, Tunisia, but then quickly spread across the Middle East. In Central Asia, the instability has started in the largest country in the region – leaving other Central Asian states vulnerable. When Kazakhstan destabilizes, Turkmenistan, Uzbekistan, Tajikistan and even Kyrgyzstan (which has already gone through one popular uprising) will not be far behind. All these states, along with Russia, have long been worried about how post-NATO Afghanistan could destabilize Central Asia and even Russia. However, the biggest state in the north of the region, far from Afghanistan, is actually where the unrest has begun. The geopolitical precipice that Central Asia is now standing on – highlighted by the events in Kazakhstan – suggests that the fallout from a resurgent Taliban in Afghanistan may be just a footnote in the story of how this region foundered. The instability in Kazakhstan in recent weeks could spread throughout the region. While the world is focused on the crises in the Middle East, the European Union, Russia and China, Central Asia – located at the center of these regions – is in meltdown. Central Asia cannot avoid being affected by the chaos in the countries surrounding it and is at risk of destabilization. The largest and wealthiest state in the region, Kazakhstan, is most at risk. In recent weeks, Kazakhstan has been hit by two types of security challenges: civil unrest and terrorism. In May, Kazakh law enforcement agencies broke up demonstrations across the country, protesting plans to privatize large swathes of farmland. The government of President Nursultan Nazarbayev and its ally, Russia, believe these protests were backed by the U.S. and designed to foment a color revolution. Considering the large area covered by the protests and the fact that this is an authoritarian state that does not tolerate any genuine opposition, the idea that the West was trying to push Kazakhstan into a Ukraine-like revolution is not unreasonable. While Astana was still grappling with this issue, the country was rocked by a terrorist attack that killed 19 people on June 5. It was carried out by suspected Islamist militants in the northwestern industrial city of Aktobe. The attack, which involved 20 gunmen who struck at three separate locations, appears to have been a fairly sophisticated operation – at least for Kazakhstan, where such incidents are quite rare. Two cells struck at two separate firearms stores, while a third commandeered a bus and used it to ram the gate at a national guard base. Nazarbayev, who is 76 years old and has ruled the oil-rich country for a quarter of a century, issued a statement warning that foreign forces were out to destabilize the country. Whether foreign actors played a role in either of the two incidents remains unclear. But it appears that both pro-democracy and jihadist forces are challenging the regime. For Geopolitical Futures, this is not surprising. Our forecast for the current year predicted that Central Asia is headed toward a crisis. Our position has been that the Central Asian states will destabilize because the world around them has descended into turmoil. The Middle East is in chaos because of the meltdown of autocratic regimes, which has enabled the Islamic State to emerge as a major international security threat. The European Union has become an incoherent entity and faces an uncertain future as Germany deals with a looming export crisis. To the east, China’s growth miracle has come to an end. Finally, Russia, which wields the most influence in Central Asia, is in deep trouble because of the plunge in oil prices. Therefore, it is impossible for Central Asia to remain an island of stability in the middle of an ocean of chaos. Though we are at the beginning of the unraveling, the events in Kazakhstan show that our forecast is on track. For over two decades, the country’s leadership has maintained stability largely because of revenues from crude oil exports. It was a country built on oil wealth, with Western and Chinese investor interest and a strong alliance with Russia. The provision of clean, safe drinking water in much of the world is one of the most significant public health achievements of the past century - and one of the foundation stones of a healthy society. In the developed world, most people are able to take this service for granted and pay very little for it. 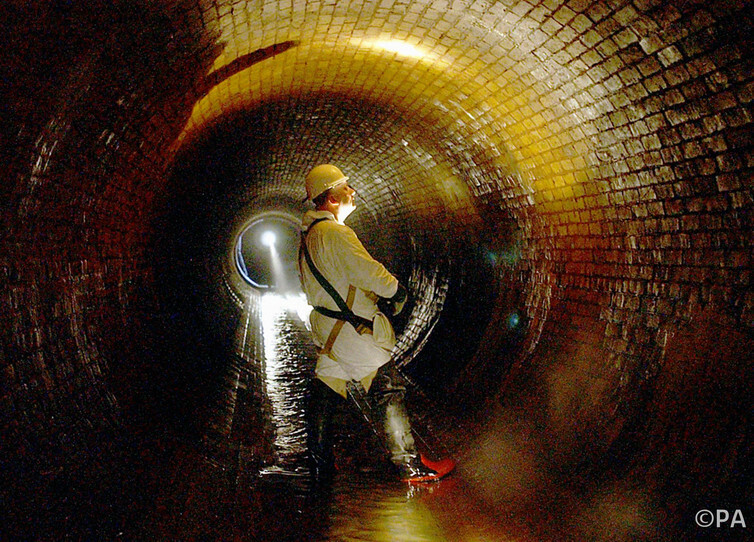 In the UK, water services are based on legacy infrastructure systems; the country lives off Victorian engineering. These systems are ageing and deteriorating and will require unprecedented investment to be fit for the future. Therefore the country needs to reimagine its water services to deliver water sustainably via systems that are affordable, adaptable and resilient. Global population growth is threatening the security of water supply and when coupled with the impacts of climate change, it is clear that our historical approach to the provision of water may not remain feasible. Increasingly stringent drinking water quality and environmental discharge standards protect us from pollutants but require increasingly complex and energy-consuming treatment. Leakage of water from ageing infrastructure wastes more of this precious resource, yet the costs of replacing that infrastructure seem insurmountable. Perhaps it is time to reconsider the one-size-fits-all approach of large centralised infrastructure and instead pursue a suite of solutions tailored to local needs. Could it be possible to have water systems that have no adverse impact on the environment, or better yet - water systems with positive impacts for people, society, the environment and the economy? A while back I came across a rather awful piece on The Economist's website entitled A Marxist Theory is (Sort Of) Right. The piece is indicative of what I think to be a far more general trend in contemporary intellectual life: namely, the fact that Marxism exists as a sort of weird counterpart to what we generally call the ‘conventional wisdom’. Before I saw the article in The Economist, I wrote a post dealing with JK Galbraith and what he called the ‘conventional wisdom’ but perhaps I should again provide a nice quote from his The Affluent Society that lays out once more what the conventional wisdom is. That’s a rather nice summary: the conventional wisdom is characterised by ideas that are stable, predictable and, above all, familiar. With this in mind we can approach The Economist article but first a word on the publication. The Economist magazine is perhaps the prime organ that disseminates the conventional wisdom that exists in the economics profession today. It is geared toward a popular audience — unlike, the far more sophisticated and specialist Financial Times — and can thus regularly be found, for example, in the dentist’s waiting-room. Whereas the Financial Times is a serious organ that seeks to provide real, tangible information in fairly concentrated form to an audience that actually uses such information in their professional lives, The Economist is better thought of as a sort of upmarket glossy magazine providing whimsy for a middle manager or a lawyer awaiting a filling or a root canal. The contrast could not be more glaring. Since we must compare ourselves with India, that being our eternal yardstick, we must take this in: the Indian prime minister addresses the US Congress and draws repeated applause. Pakistan, meanwhile, presents a fractured picture, democracy in place but the army in charge and calling the shots. The army chief snaps his fingers and PML-N ministers dutifully line up at General Headquarters, in the same hallowed room next to the chief’s office where corps commanders’ meetings are held. We are not good even at keeping up appearances. The same meeting could have been held at the foreign office, thereby at least preserving the fig-leaf of civilian supremacy. But I suppose a point had to be made and it could not have been made more dramatically. The picture released by the army’s spin machine, ISPR, says it all: the commanders lined up on one side and the civilians, their haplessness on full display, on the other. The army is in command and the civilians, on key fronts, have abdicated authority…not at the point of the bayonet, let it quickly be said, but as the fruits of incompetence. For all its democratic authority, the PML-N leadership, from the prime minister to his talented brother, is incapable of conducting a sustained dialogue on pressing national issues with the army brass. The mental wherewithal is simply not there…period. They have political skills no doubt, and very sharp at that when it comes to preserving their power and promoting their business interests. In these things no one in Pakistan can come close to them. But engage them in abstract talk on, say, national security or foreign policy and the blank looks that emerge have to be seen to be believed. As I have had occasion to mention before, when they were taking their first political steps their favourite method of inter-acting with important generals was to make them gifts of BMW cars. If a general accepted – and there was talk in those days that some upright generals did – he was considered a good fellow, trustworthy and dependable. Anyone who refused was looked at with suspicion. After a long hiatus, George Soros has returned to trading, lured by opportunities to profit from what he sees as coming economic troubles. The moves are a significant shift for Mr. Soros, who earned fame with a bet against the British pound in 1992, a trade that led to $1 billon of profits. In recent years, the 85-year-old billionaire has focused on public policy and philanthropy. He is also a large contributor to the super PAC backing presumptive Democratic nominee Hillary Clinton and has donated to other groups supporting Democrats. Mr. Soros has always closely monitored his firm’s investments. In the past, some senior executives bristled at how he sometimes inserted himself into the firm’s operations, usually after the fund suffered losses, according to people familiar with the matter. But in recent years, he hasn’t done much investing of his own. That changed earlier this year when Mr. Soros began spending more time in the office directing trades. He has also been in more frequent contact with the executives, the people said. A car is seen on fire at the site of a drone strike believed to have killed Afghan Taliban leader Mullah Akhtar in southwest Pakistan in this still image taken from video, May 21, 2016. The drone strike that targeted the Taliban leader points to a troubling future for Pakistan’s largest province. In July 2015, when Afghan intelligence reported that Taliban leader Mullah Omar had in fact been dead for two years, the Taliban chose as their new leader Mullah Akhtar Mansour. That selection created a fissure in the Afghan Taliban. In recent months, rumors emerged that Mullah Mansour was killed in Kuchlak – a town about 25 km from Quetta, and home to half a million mostly Afghan refugees – in a gunfight with a rival faction. The Taliban sought to quash the rumors by releasing an audio message in which Mullah Mansour denied he had been killed. Mullah Mansour was heading towards Quetta when his car was targeted by a drone, killing him and his driver Mohammad Azam in Balochistan’s Nushki district. Initially, local authorities said the car was carrying explosives, which caught fire. But locals said they saw “a small airplane” – by which they mean a drone – hovering over the car after the attack.Enjoying this article? Click here to subscribe for full access. Just $5 a month. Some observers have pointed out that targeting Mullah Mansour would have been impossible without ground intelligence. They go on to note that ties between the U.S. and Pakistan have been strained. So, they conclude, perhaps in this case Pakistan collaborated quietly? Government officials vehemently deny any such claims. Sarfraz Bugti, Balochistan Home Minister, condemned the strike, calling it an attack on the sovereignty of Pakistan. The second round of agitations has started in Nepal. There seems to be a new game plan from the Sanghiya Gathbandhan or Federal Alliance and getting back into the agitation mode? How is the government likely to react? The Janajati and Madhesis have joined forces and formed a Federal Alliance known as the Sanghiya Gathabandhan to protest together in Kathamndu. The Madhesis seem to be striving forthe recognition of all the marginalised ethnic groups in Nepal. The new coalition seems to be getting support, as they are seen fighting for a just cause. A federal state is not just the demand of the Madhesis, but the majority in Nepal. The constitution demands dividing Nepal into seven federal units. There is no basis on which this division has been made. If this proposal moves forward then people belonging to the same ethnic group will be split into different units. This is something which is opposed by all the ethnic groups. The Madhesis have been successful in mobilising the support of other ethnic groups. This is not because the ethnic groups in Nepal are sympathising with the Madhesis, but the demands of the latter resonate with their own. Unlike the blockade earlier, the new agitations that have started in May 2016 are not the demands of the Madhesis alone; it is a call for recognition by all the marginalised ethnic groups in Nepal. Is the government listening? The decision to move the protests to Kathmandu have been a stroke of genius. It has produced the outcome that the Madhesis had wanted - mobilise support and increase momentum for the movement. Now that the Madhesis are not alone in their cause, utmost caution is required moving forward. They should stick to their demands and not let the success to undermine their larger goal. There have been recent reports that the majority of the Morcha allies have threatened to withdraw from the alliance because, some leaders are seen as using it for their political interests disregarding the concerns of the Morcha allies. Divisions within the alliance will have a larger impact on the movement and result in its failure. This could gravely affect the momentum that the movement has picked up during May 2016. A migrant worker’s death sharpens criticism of India’s inability to protect its overseas laborers. NEW DELHI — India is currently roiled by the death of Mahavir Yadav, a 57-year-old migrant worker who went to Saudi Arabia in 2010 to work as a painter and never returned. News suddenly arrived last month that Yadav had died of a heart attack triggered by extreme stress and work conditions that were almost Dickensian in their wretchedness. His employer — a local Saudi — would beat the elderly worker, deprived him of his salary, and also confiscated his passport. Yadav’s two young daughters in India, now orphaned, are running from pillar to post to retrieve their father’s body, which lies in a Saudi Arabia hospital, mired in complex legal formalities. The duo have even written to India’s External Affairs Minister Sushma Swaraj to help them. This is not a stray incident of a single Indian migrant worker’s cruel death in the Middle East. Many such heartrending tales have surfaced since 1983, when the Indian exodus of migrant workers to the region began following the great Gulf boom of the 1970s. The Indian government passed a new Migration Act to promote migration and cash in on the twin opportunities of foreign exchange remittances as well as overseas employment generation. Due to its economic attractiveness, oil-drenched UAE became a popular destination for temporary Indian labor migrants seeking gainful employment and higher standards of living.Enjoying this article? Click here to subscribe for full access. Just $5 a month. India’s globalization in the 1990s further expedited this cross-border movement of people from the country, making it one of the largest labor exporting nations in the world. However, the exodus also brought with it a panoply of fraud and exploitation cases of Indian workers in the host countries. To tackle the new exigencies, India substituted the 1983 law with the Emigration Act of 2001. The Ministry of Overseas Indian Affairs (MOIA) was also constituted to sign manpower agreements with five Gulf countries, excluding Saudi Arabia. Marc Lynch, The New Arab Wars: Uprisings and Anarchy in the Middle East (PublicAffairs, 2016). On May 19, 2011, President Barack Obama stood in the ornate Ben Franklin Room on the State Department’s 8th floor and called for a broad change of approach in America’s engagement with the Middle East, making clear that he backed political and economic reform. Responding to the dizzying first six months of the Arab Spring, Obama reiterated America’s enduring security interests, yet acknowledged that grievances had accrued among ordinary people that “only feed the suspicion that has festered for years that the United States pursues our interests at their expense.” The speech was lauded for its sharp diagnosis of the problem and willingness not to pull punches. It was also widely interpreted as a dramatic swing away from Obama’s customary caution and pragmatism — many commentators remarked about its exuberance. Back then, the Arab Spring was still seen as reason for optimism. For many of us then working in the White House at the time, it recalled the heady days of 1989, when walls came down and the Cold War ended. As Obama told us in the weeks before the speech, he wanted to do some “truth-telling” about what was going on and how the United States needed to embrace this transformation and change its approach. Yet toward the end of his speech, Obama made mention of three places that, unintentionally, foreshadowed the challenges to come. Despite all the uncertainties, he wanted to recall the reasons to have hope. He cited the examples of the Libyan city of Benghazi, at that moment protected by U.S. and allied planes attacking Qadhafi’s forces; young people cramming Egypt’s Tahir Square to demand political change; and the protestors in Syria, braving bullets while chanting “peaceful, peaceful.” In May 2011, these examples symbolized potential, and his cautious confidence seemed reasonable. Yet in the years to come, it was in these three places most of all — Libya, Egypt, and Syria — where the Arab Spring died. The story of how this happened has already produced a pile of books, but I can think of few better than Marc Lynch’s The New Arab Wars. Sober, insightful, self-critical, and at times searing, this book is one of the clearest accounts yet of the tangled mess of today’s Middle East. Lynch, a well-respected political scientist at George Washington University, was one of the scholars we would reach out to for insight on what was happening in the Arab world when I served in the Obama administration. With this book, he has given us not another scholarly tome, but an indispensable autopsy of the Arab Spring. It is also the best-informed and sharpest pushback to the Washington wisdom on the Middle East — what Obama has famously called the “playbook” — I have read. India needs the US on many counts in order to build up an optimal cyberspace ecosystem, bolster cyber security across sectors and most importantly, build critical infrastructure. Prime Minister Narendra Modi concluded his fourth visit to the US recently, one in which he had significant discussions on cyber security cooperation with President Barack Obama. This was possibly the last such meeting before Obama demits office later this year. These discussions endorsed a factsheet that should result in the signing of the framework for the US-India cyber relationship in the next two months. Not that India and the US have not engaged on cyber issues in the past; they started after the historic meeting between Prime Minister Atal Bihari Vajpayee and President George W. Bush in November 2001. However, engagement over the last 15 years has remained confined to statements of intent and some exchange programmes, with meaningful success being achieved only on the sensitisation of Indian law enforcement to the American way of dealing with cyber issues. A so-called spying incident involving officials from both sides derailed the process in the early years, but real momentum was regained since the Modi government took office in May 2014. While the US was definitely enthused about the announcement of the National Cyber Security Policy (NCSP) in May 2013 by India, nothing actually moved forward. Rather, nagging issues around the security of telecom equipments, mostly from that country, dogged the relationship then and India’s posture on internet governance mechanisms stood in the way of active engagement. When India proposed a 50-nation committee on Internet Related Policies for the management of cyberspace issues at the 66th session of UN General Assembly in October 2011, it came in direct opposition to a US-led effort that was aimed at fostering a multi-stakeholder approach. Over the next couple of years, the primary engagement between India and the US remained focussed on how this divergent approach could be bridged. Even the Indian government was conscious of the realities of the fast emerging internet ecosystem: the inherent impact of the internet economy was closely addressed by the Modi government. Based on the recommendations of a committee of three senior cabinet ministers, India finally announced its support to the multi-stakeholder model in August 2015. When Apple's iPhone sales started showing signs of stagnation recently, one of the most cited reasons for the slowdown was the iPhone's steep price tag compared to the competition. And while it's probably right to assume that a lower price would boost iPhone sales, the question is: why should the iPhone's price suddenly be more of a problem than it used to be? After all, it has always been more expensive than most Android phones, but that didn't stop Apple from outperforming the market many times over the past few years. First of all, the smartphone market has changed. In highly developed regions such as North America and Europe, the market is pretty much saturated - most people who want a smartphone, already have one. Much of today's smartphone growth comes from emerging markets, where price is much more of an issue. At the same time, the price gap between iPhones and Android phones has widened considerably over the years. As our chart, based on data from KPCB, illustrates, the difference in average selling prices grew from $218 in 2008 to $443 in 2016. While high-end Android phones, such as Samsung's top-of-the-line devices still cost about as much as an iPhone, there is a large number of manufacturers (mostly from China) who sell Android smartphones for a fraction of the iPhone's price these days. This chart compares the average selling price of iOS and Android smartphones since 2008. Yesterday was the 100th anniversary of U.S. Secretary of Defense Robert Strange McNamara’s birth. It is likely tempting to mark this week with a retrospective of contributions to U.S. policy during the Kennedy and Johnson administrations and the Vietnam War in particular. McNamara himself was deeply troubled by how the war there eventually spiraled out of control. His memoir from his time in the executive branch, In Retrospect, can be read as an exercise in absolution, in so far as it is permitted in public life. McNamara’s most lasting legacy, however, is not Vietnam. Rather, it is found in the introduction and cultivation of a body of knowledge that views national security problems, including that those related to conventional and nuclear war, as economic problems. The group of experts who specialized in this systematic quantification of national security issues – who almost overnight went from being policy analysts to policy makers under McNamara – also ushered in a radically different point of view on American nuclear strategy, a striking departure from the one advocated by the Eisenhower administration. President Kennedy knew I would bring to the military techniques of management from the business world, much as my Harvard colleagues and I had done as statistical control officers in the war.